A totally new patented way to cook quick and easy one-pot meals, while keeping ingredients intact and full of flavor. Elizabeth Yarnell developed her revolutionary infusion-cooking method to avoid often mushy slow-cooker results and to make cooking and cleaning up after dinner a breeze. Now anyone with too many tasks and not enough time can use her technique to get dinner on the table in an hour or less, with no more than twenty minutes of hands-on prep work—and just one pot to clean. All it takes is a Dutch oven and a few basic fresh or even frozen ingredients layered–never stirred. Glorious One-Pot Meals provides the most convenient method yet of serving highly nutritious, satisfying suppers every night of the week. 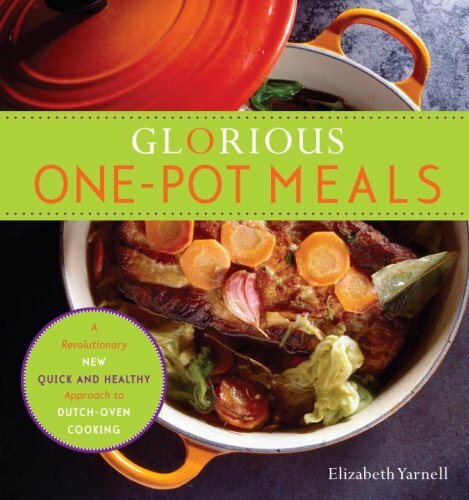 Publishers Weekly says, “The real genius, of course, is the single pot—Yarnell’s all-inclusive meals don’t require the usual juggling of oven times to coordinate complementary dishes, and cleanup is simplified even further by a preliminary canola oil spritz on the pot. Her emphasis on whole foods, abundant servings of vegetables, moderate amounts of protein and the incorporation of whole grains like amaranth and quinoa justifies her health claims. Yarnell also guides readers in creating their own custom versions of the one-pot meal, even offering a one-pot meal weekly grocery list.” The reviews indicate that the recipes aren’t fabulous but that the techniques are awesome and you can extrapolate those techniques into creating your own dishes. Lia Carswell is good at what she does—even if it isn’t as glamorous as her old life in Manhattan. The popular waitress works hard in a small Salt Lake City diner, with the goal of easing her sister’s financial strain. And with her witty personality and good looks, she’s something of an enigma to the male customers who vie for her attention. Ever the professional, Lia keeps her distance—with one exception. Aidan is a breakfast regular, and Lia’s easy rapport with him draws her attention, though she would never let their relationship get serious—especially since he’s not the only one trying to catch her eye. 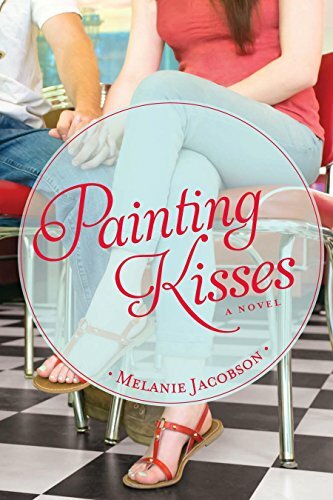 Her handsome neighbor Griff has been hinting that he wants more than a neighborly relationship.Then her old New York artist life comes knocking, and an offer is made for a series of commissioned paintings. Lia knows it would ensure financial security for her family, but she doesn’t know if she wants that life anymore. When she undertakes one final project, she reawakens her heart and soul. And as she finds herself falling in love and needing an outlet more and more, she realizes her paintings might be her saving grace. I don’t think this is a religious book but it is a sweet romance and I take that to mean closed door bedroom scenes, if any. For some reason this is not sold at iBooks. Raven Riders Motorcycle Club President Dare Kenyon rides hard and values loyalty above all else. 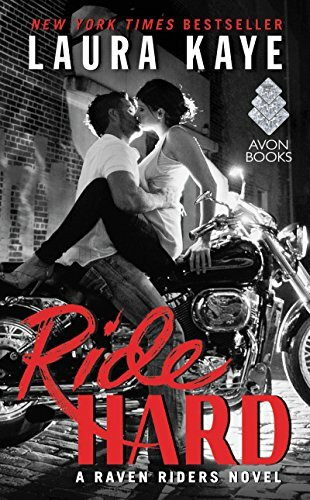 He’ll do anything to protect the brotherhood of bikers–the only family he’s got–as well as those who can’t defend themselves. So when mistrustful Haven Randall lands on the club’s doorstep scared that she’s being hunted, Dare takes her in, swears to keep her safe, and pushes to learn the secrets overshadowing her pretty smile. There are crossovers from Kaye’s previous series, Hard Ink. The MC is portrayed slightly different (not as rough, in my opinion). These are the darkest days for the Deryni of Gwynedd, the magical race that once ruled this medieval kingdom but now find themselves despised and hunted by the governing regents following the death of King Cinhil. Dead also is Camber of Culdi, who served as the Deryni’s most faithful friend in the royal court. With young King Alroy too immature and weak to rule effectively, no one holds the power to halt the reign of genocidal terror that sweeps across the land—not even Prince Javan Haldane, Alroy’s twin, who recognizes the perfidy of the regents and religious zealots hovering around his royal brother. But there is an equally distressing concern for the surviving children of Camber, whose body remains uncorrupted weeks after his death, suggesting that his soul may be trapped somewhere between earth and heaven—and nothing short of the ultimate sacrifice can set Camber free. Award-winning fantasist Katherine Kurtz continues her chronicles of an extraordinary medieval race in a magnificent series that picks up where her acclaimed Camber of Culdi trilogy left off. 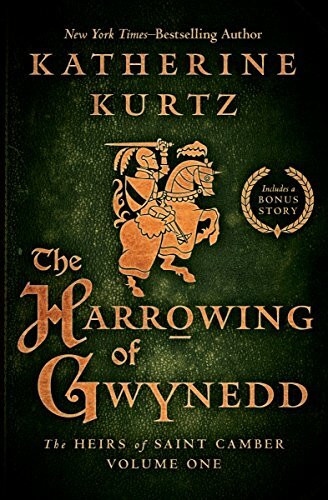 A story of intolerance, faith, and courage, rich in character, magic, wonder, and evocative detail, Kurtz’s brilliantly imagined alternate history is one of the shining jewels of fantasy fiction. The entire trilogy is on sale for $1.99 each. This is recommended for readers of medieval fantasies. For the Kurtz books, it’s not just that trilogy — all but one of Kurtz’s Deryni books that have been released by Open Road Media are at the price. I started reading Kurtz’s books when I was in high school in Europe–way back in the 70s. (Yeah, so old!) I loved them, especially the first trilogy, but they could be relentlessly grim at times. She wasn’t exactly George Martin, but Kurtz was pretty bloodthirsty. I have some of her books in digital, and picked this trilogy up, as well. I also picked up the cookbook. The recipes in the TOC looked varied and good. Certainly worth 2 bucks to check out. Thx.